There are people who don’t eat pork, not ever at all, for various individual reasons. Some people might be allergic. Others have a religious obligation not to eat pork as it’s expressly forbidden in the Torah and Quran. Then there’s the vegan lifestyle, in which one avoids any and all animal by-products, including pork. I knew when I started a challenge to myself of going 24 hours without pork, that I would not be eating bacon that morning. But I was amazed at how pork has been incorporated in so many everyday products that you would never think of. First off, in my daily multivitamin. As it turns out the capsule itself is made of gelatin, an animal by product. Specifically, gelatin is made by boiling the bones, ligaments and tendons of animals; needless to say, I skipped the vitamin. For breakfast I thought a bagel would be a safe choice, but I was wrong. It turns out that bagels and other processed starches contain L-cysteine as a “dough conditioner.” When asked about L-cysteine it is purported to be from natural sources, like pig bristles, which is a fancy word for pig hair! I headed to the library to study. Since this was during fall semester finals week, there was a table with assorted free goodies, including Starbursts. I had heard that Starbursts contain gelatin but upon closer inspection to the ingredient list on the actual packaging, it specifically states gelatin-free. 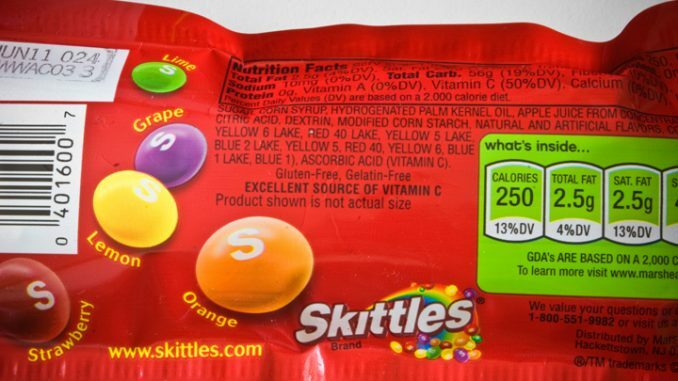 It turns out that Wrigley — the company that makes Skittles and Starbursts — had been using gelatin but had reformulated the recipe. This change somewhat coincided the with Mars-Wrigley merger and hit the shelves in 2009. Then I received the, “it’s not too late to get your flu shot” email from the Fisher health center. I had totally forgotten to get that, but I quickly learned that the shot itself contains pork-based gelatin as a stabilizer to protect the vaccine from damage due to heat and other environmental factors. While rabbis in the Jewish community and imams in the Muslim community have both declared vaccines permissible, there are some people that regardless will refuse these products due to the nature of the ingredients and if you are vegan, there is no way around this. Beauty products as well can be a hidden source. We already know about gelatin, but some products will list tallow instead as an ingredient though they are both similarly derived. Lastly, anti-aging ingredients like collagen tend to come from pig placenta. These ingredients unfortunately can be found in a variety of goods from lotion to lipstick and are in many mainstream beauty products like Olay, Neutrogena and Cover Girl. The best way to avoid these in cosmetics is to look for “cruelty free” on the label, though this statement is not regulated so vegan is a surer way to know. I hadn’t realized when I started this day out just how difficult it would be to avoid pork. This experience has given me a new respect for those who have dietary restrictions and the real struggle they encounter on a day to day basis. While the market is certainly starting to accommodate more lifestyle choices and religious obligations, there is a lot more work that needs to be done to make product ingredients more transparent. Many of us, as consumers also need to become more informed as we don’t truly know what is in the items we are using and ingesting.